Dr. Seuss vs. Charles Lindbergh, Jr.
On August 17, 1999, ABC News broadcast an intriguing segment on the pre-war accomplishments of Theodore Geisel, the writer and illustrator of the "Dr. Seuss" children's books. 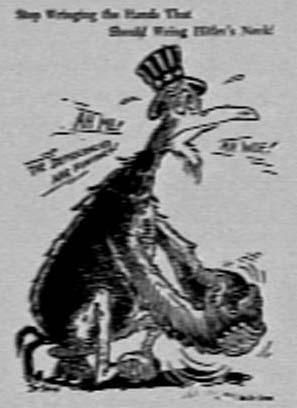 This Geisel effort shows a Grinch-like bird in obvious despair with the caption "Stop Wringing the Hands That Should Wring Hitler's Neck." Next came this Nazi dragon. 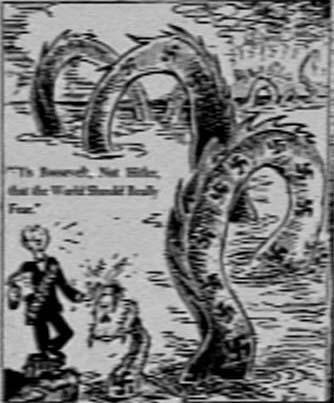 A blowup of the foppish character with his left hand approvingly patting the dragon head shows that it is Charles Lindbergh. A search at massinternet.com/deli/bioseuss.htm found that Dr. Seuss was born Theodor Geisel in Springfield, Massachusetts, on March 2, 1904. During World War II, Geisel joined the army and was sent to Hollywood. Captain Geisel wrote for Frank Capra's Signal Corps Unit (for which he won the Legion of Merit) and did documentaries (he won Oscar's for "Hitler Lives" and "Design for Death"). Theodor Seuss Geisel died 24 September 1991. Nothing in his biography indicates that he ever came under enemy fire. Born on Feb. 4, 1902, in Detroit, Charles Augustus Lindbergh spent his childhood in Little Falls, Minn. His father served in the U.S. Congress from 1907 to 1917. With the help of Saint Louis businessmen he set out to fly across the Atlantic in a specially built plane, the Spirit of St. Louis. Leaving Roosevelt Field, Long Island, at 7:52 A.M. on May 20, 1927, he arrived at Le Bourget airport, Paris, at 10:22 P.M. (French time) on May 21. He had flown 5,800 km (3,600 mi) in 33-1/2 hours and returned home a hero. Subsequently he and his wife Anne Morrow Lindbergh pioneered the present international air routes with considerable risk to themselves. By 1940, Lindbergh had become politically controversial. As a major figure in the America First Committee he favored American non-intervention as the European war intensified. 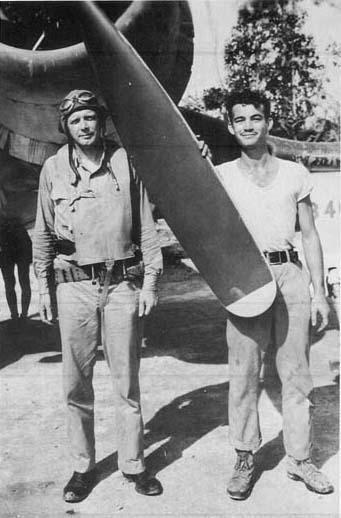 Once the United States had entered World War II, however, "as a civilian technical representative in the Pacific, C. A. L. flew fifty combat missions to evaluate at first hand the comparative combat qualities of the Marine F4U Corsair and the twin-engine P-38 Lightning of the Army Air Forces. During his missions, Lindbergh was often under fire and he shot down one enemy plane. He also developed fuel consumption techniques which stretched the effective range of the P-38 by hundreds of miles." He died on Maui, Hawaii, on Aug. 26, 1974. By 1941 both the bellicose Geisel and the peace-seeking Lindbergh, two years his senior, were a bit long in the tooth for combat. However, this is not the first time that a war-monger has found a safe spot to ride out the war, while the war protestor has found a way to take physical risks in the ensuing war. 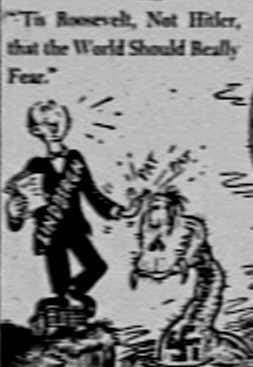 The Geisel propaganda cartoons were recently unearthed by an academic, Richard Minier, of the University of Massachusetts, who likened his discovery to finding a Norman Rockwell or a Picasso. (Why not a Michelangelo or a Leonardo?). He plans to publish them later this year. Raymond H. Fredette, Lt. Col. U.S.A.F. (Ret. ), July 11, 1973, Report for Veterans Day Award.